Hi, my name is Dom Matthews and I’m the Product Development Ninja at Ninja Theory. It’s a great pleasure to be posting on PlayStation.Blog to tell you about our new game Hellblade, which has just been announced at the PlayStation Gamescom press conference. For those who aren’t aware of Ninja Theory, we are the UK based developer that created DmC: Devil May Cry, Enslaved: Odyssey to the West, and PS3 exclusive Heavenly Sword. Over the course of the last 14 years we’ve developed three key strengths that define our games: ninja-class combat, strong character stories, and a unique art vision. In our new digital game, Hellblade, we want to take these three key strengths to the next level. Hellblade will be an experience focused on delivering a deep character in a twisted world, with brutal uncompromising combat. We’re calling Hellblade an “Independent AAA” game, by which we mean that it will be developed and published independently but with all the quality and production values of any AAA game on the market. Why have we chosen to self-publish this game? Certain types of game are very difficult to make for AAA retail without being watered down or otherwise compromised for a mass audience. This is especially true of sword-based combat games or games of a distinctive style or unusual subject matter. We want to make a smaller, more focused game experience that is uncompromising in its combat, art and story, and deliver this digitally at a lower price. The announcement trailer that we’ve just released is intended to give you a taste of the AAA quality that we’re planning on delivering, and to also introduce you to the Hellblade world, which is based on Celtic myth. The trailer is focused on Senua, Hellblade’s protagonist as she embarks on a very personal journey through a hellish underworld. We have announced the game unusually early. This is a deliberate move: we want to share our development journey with you, the fans; to develop Hellblade right in front of your eyes so you can see just how we go about making games. At the heart of this is http://hellblade.com, where you can find the latest from development. Throughout the project we’ll be sharing developer diaries, concept art, design documents, tutorials and work-in-progress of the game being put together. If you hop over to Hellblade.com now you’ll see some concept art from Hellblade as well as an introduction video to the project. You’ll also see a lot more information about “Independent AAA”, and in the spirit of openness, we’ve posted a lot of documentation on a couple of Ninja Theory games that were planned, but never made it into production. 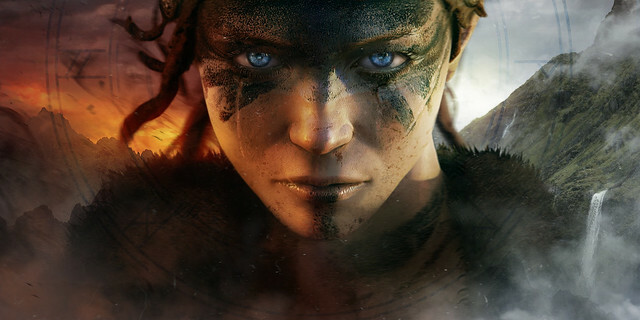 To finish my post, I want to say that it is incredibly exciting for me and the team at Ninja Theory to be creating Hellblade. Hellblade is being made for our fans. Fans of Heavenly Sword, Enslaved and DmC: Devil May Cry. 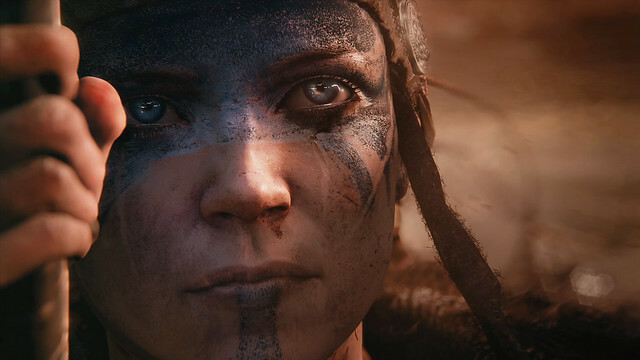 If any of our games have found a special place in your heart, then our aim is that Hellblade will too. You can follow the Hellblade journey at http://hellblade.com, @ninjatheory on twitter and at facebook.com/ninjatheory. Hellz ya! Looks awesome, Screen shots on here could be better, mostly just, eyes? This looks GREAT…..color me excited! Is this related to Heavenly Sword? I couldn’t help but noticing the similar naming pattern and character design. Please make a sequel to HEAVENLY SWORD!!! Its one of my favorite games. Loved both heavenly sword and enslaved odyssey to the west I’m sure this game now will be the same with fun gameplay. Hopefully we can see some video of it in action soon. Woo! Ninja Theory! I was really worried you guys were gonna go mobile only with Fightback… I mean, y’all really made it seem like you didn’t want none of the console/PC biz anymore ( http://www.develop-online.net/interview/ninja-theory-s-mobile-push/0117640 ). I’m glad it’s just a part of what you want to do now, and aren’t abandoning the big-budget, story-driven, amazing action-adventures you’re known for. 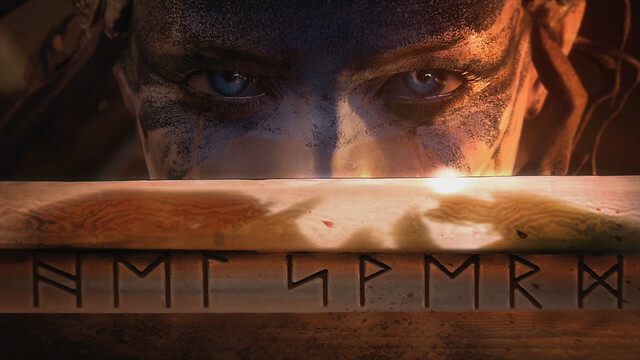 Heavenly Sword was fun, Enslaved was AMAZING, DmC was FRICKIN’ FANTASTIC… I have no doubt Hellblade will rock my socks! Awesome surprise! Great news. I loved Enslaved (thought it was better than Uncharted 3). You made a LOT of improvements on the controls and camera that corrected the problems from Heavenly Sword. Devil May Cry was too much of a spazz and arcadey. I am very interested in the setting and character in this. Looks like huge potential….just don’t go crazy with combo meters and waves of enemies with blocked off areas. Oh man, the trailer looks sick! You should really include it in your post. PS. I’m getting a Nariko vibe from who I assume is the protagonist…any connection? HellBlade Exclusive on PS4! YEWEEEEEEEEEES! Oh nevermind, not a sequel to anything. Its a new ip. Also wanted to say, best of luck with the “Independent AAA” style. If Platinum Games can do it, bouncing between big exclusive contracts for publishers all the time and remaining independent, than you should too! Will Andy Serkis be back in any creative for this game? And also, is it running on a new proprietary engine, or are you using Unreal 4 now after UE3 powered Enslaved and DmC? She kinda looks like Kai from Heavenly Sword. Bang up job on the naming guys. Whatever this is (forewent most of the conference to blitz some Hohokum), knowing Ninja Theory handled DmC, Enslaved, and as it turns Heavenly Sword*, I definitely can’t go ruling this’n out. *c’mon, Sony, release this digitally, already! This our way of telling a sequel to Heavenly Sword 2, ain’t it? The girl looks so much like Kai. Hellblade is the opposite of Heavenly Sword. Nariko is dead. The Hellblade girl looks to be resurrecting someone from the dead…. I wish this was a direct sequel to Heavenly Sword. The character looks a bit like Kai and my imagination just ran wild from there and the title alone would fit too. Please work it out with Sony, I really want to see an HS2. I’m excited for this game. I’m hoping what you’ve learned on DmC will really help this combat be strong. Yes or no. Are you rehashing your Heavenly Sword 2 story concepts (and character design) for this? Yup reminded me of Narito’s lil sis too. Loved Heavenly Sword, and Enslaved too although they were both on the short side.. hope this turns out good and BIGGER, and hope Heavenly Sword gets a sequel…. why make a movie about Heavenly Sword and not continue the game / “franchise” forward with another game, especially when so many people loved the game? Definitely will check it out cause I loved DmC and Heavenly Sword!! Now can I get a DmC sequel please! That looks alot like kai. Does it have anything to do with HS. I hope it does. Dammit I still want a sequel. I loved Heavenly sword, and I really liked Kai. If this is in any way related… I’m in. So it’s a secret Heavenly Sword sequel, right NT? I mean that character looks just like Kai, only grown up, and Heavenly (Hell) Sword (Blade). Sony just stuck a hellblade in every Vita owner’s heart. Will there be a retail release or is it digital only? Ninja Theory aren’t known for making good battle system, but at least the new world looks cool. I NEED THIS GAME NOW!!!! Maybe I glossed over it from excitement but when can we expect to get our hands on this? Early 2015? Later? (Please don’t be later). Seriously this is the only game I’m excited about from Gamescon this year. I’m so happy you’re doing something indy inspired by style and substance. looking forward to more. I need to know since this REALLY looks like Kai and the name of the game is Hell Blade, Heavenly Sword, Hell Blade COME ON. Please tell me this has sooomething to do with Heavenly Sword. Im reading its a new IP but still I cant help but see this has something to do with Heavenly Sword. Ninja Theory, one of my absolute FAVOURITE developing teams. I cannot wait for this game. It truly looks delightful. However, I cannot help but express my disappointment that DmC2 is not (as of right now) on your mind. Please NT, keep working on DmC. Do not let it go. You brought fresh life into one of the most respectful hack and slash titles of all time, and I want to see you continue to define the genre – along with God of War. Enslaved was the most underrated game last gen and I hope this game can build off of what that game was. I did not care for DmC at all and Heavenly Sword was just alright. 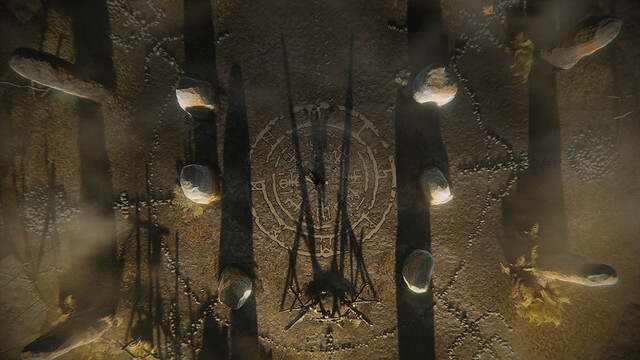 As much as I am excited about this game I can’t help but wonder why you say it’s based on “Celtic myth”, yet use Icelandic helm of awe circle with Scandinavian rune symbols? The celts used the ogham system, it doesn’t make any sense, someone not done their research?! Color me interested. Gameplay trailer soon hopefully. Another game added to my list! Can’t wait to see more information on this. I loved Heavenly Sword on the PS3 and I was hoping if you guys are able to re-release it on the PS4 (hopefully). Please don’t include any of the terrible, terrible catapult missions like in Heavenly Sword. This game + 1 other PS exclusive = Ninja Theory being bought by Sony. I’m so sure that girl is Kai from Heavenly Sword, but in adult version. By the looks of it, it looks like a spiritual successor to Heavenly Sword. Wouldn’t be surprised if the ideas that originally we’re being thrown around for the Heavenly Sword IP are heavy here. Might be wrong but I definitely wouldn’t mind revisiting the HS gameplay aspect. If Ninja Theory couples that with a great story, it will be yet again a classic rememberable experience. Putting this on the anticipation list. I want this to be heavenly sword 2 but I doubt it is. This is self published meaning NT is publishing it so theres a possibility of an xbox release. Sony owns the IP of heavenly sword which means that cant be kai if it is to release on xbox. If it was heavenly sword 2 then sony would have to publish it being the owner and all. Well… there goes my hopes. A new exclusive hack n’ slash?….damn please count me in already,the trailer was cool…eager to see a gameplay video now. Awesome. When watching the trailer, I kept thinking of Heavenly Sword. That game had such an awesome story and I love how realistic the character expression was. The actual gameplay left quite a bit to be desired for me. Enslaved, on the other hand, is one of my favorite games of last gen. I was so sad to read that you guys weren’t planning a sequel because sales hadn’t met your expectations/hopes. But I do hope that you guys change your mind and make Enslaved 2. That game was honestly perfect, IMO. The lush environments, the combat, story, the incredible acting and chemistry. It was movie quality. I cannot praise that game enough and hope to see more of it. BUT, back to the topic at hand. I am super excited to see and learn more about Hellblade. Is it a kind of sequel to Heavenly Sword? They look so similar.. and of course the titles. When I saw the eyes of the character in your trailer, it reminded me of that crazy little girl from Heavenly Sword. Obv it isn’t her, but yeah. NINJA THEORY FTW! This game’s always going to slightly disappoint me for not being Heavenly Sword 2. After the cliffhanger of the first game with the reveal of the true villain, and the upcoming movie, this just feels like a missed opportunity to me, and almost the same as From Software continuing Demon’s Soul as a multiplat with Dark Souls. Like wocyob said, this does look a lot like Kai of Heavenly Sword. Even the name looks alike. I can’t wait for this! Finally a game based on Celtic / Norse, culture / myths. Well, a good game (I hope) anyways…. The more of these types of games, the better IMO.